You can now receive points on each purchase you make right here on our website – sign in when purchasing. For every 100 points you earn from your purchases you receive $5 to spend in our shop – including sale items – easy. 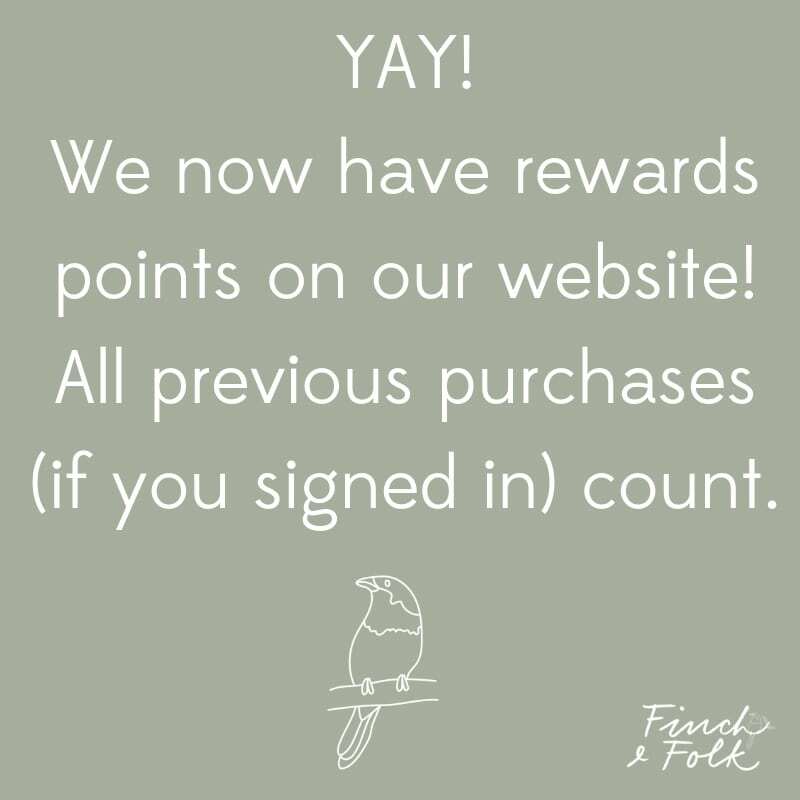 Finch & Folk loyalty points cannot be back-dated and applied to previous orders. You can earn 100 points by signing up to an account with us (if you do not already have one). THIS IS OUR WAY OF SAYING THANK YOU AND REWARDING THOSE AMAZING CUSTOMERS OF OURS – EVEN WHEN THEY KEEP COMING BACK!